On April 9 the Rockland County High School Local History Conference was held at the Comfort Inn in Nanuet. The conference was organized by Clare Sheridan, president, the Historical Society of Rockland County, Trustee Larry Singer, Trustee Judge William Sherwood and two local North Rockland High School social studies teachers, Kevin Metcalf and Steve Shepardson. All the public school systems in the county participated as well as a private school. Also speaking at the conference (which I did attend) were Rockland County Executive C. Scott Vanderhoef, State Senator David Carlucci, and Rockland County Historian Craig H. Long. During the conference the high school students present their research topics and received a certificate of achievement from the Historical Society. If some of this seems familiar to regular readers of my posts, there is a reason for it. In 2011, I initiated six county history conferences in the Hudson Valley with Rockland being one of the counties. I have consistently advocated county history conferences as the vehicle through which to bring the history community together at the local level. In the ideal form it included the county executive, county historian, municipal historian, historical organizations, social studies teachers, and scholars. This conference although in a different format met many of those conditions. It was not open to the public and the attendance by the historical organizations and municipal historians was minimal. Part of the genesis of the conference was the invitation last school year to the Historical Society to attend the Lower Hudson Valley Social Studies conference which covers Rockland, Westchester, and Putnam. Regrettably not all areas of the state have a functioning social studies council and even those that do don’t necessarily have an annual conference. Fortunately here in the Lower Hudson we do and the Historical Society of Rockland County had a table at both the December 2011 and 2012 conferences. 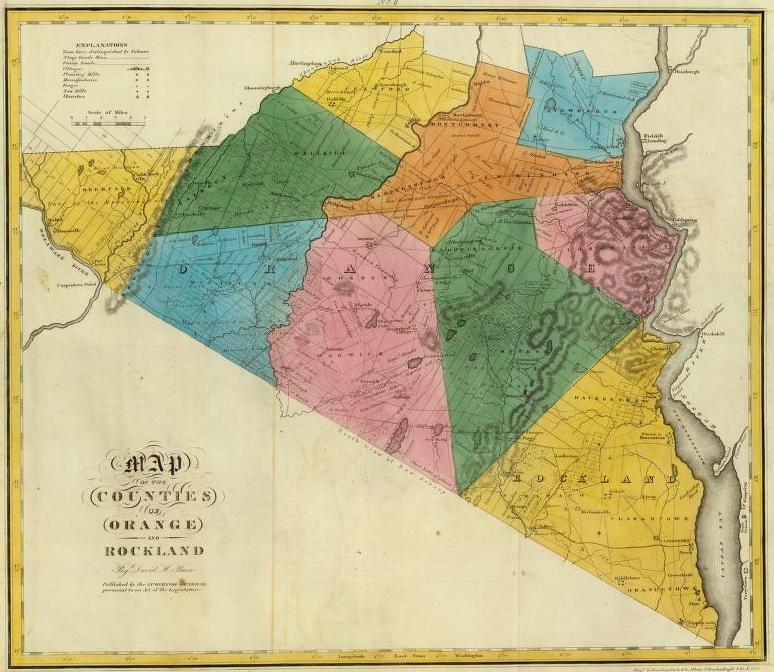 At both conferences there were two-hour sessions devoted to local history in the three counties and some presentations on Rockland County history were made. The County Executive spoke about the turnpike which ran just outside the conference center. Industry, wars, and historic buildings were the subjects of other presentations. One student noted that the “Cold War was pretty recent so some people don’t think of it as history.” How can the Cold War be historic? I was alive then! One innovative student introduced the music of the past from the time when there were local record stores and bands. The music of the 1980s as historic! The building of malls, one in particular in Nanuet, greatly changed the landscape and living patterns of the county&#8230-only to be superseded by box-chain stores and even bigger malls that caused the old big mall to close. Another student reported on the monument marking the hanging of Andre near where he lives, “I drove by it every day without really realizing it was there. It was just a rock or something.” A Civil War drama drawing on actual letters entitled “The Price of Freedom” concluding with the singing of the Battle Hymn of the Republic moved me to tears. It was a good conference and something that every single county in the state can do. The County Historical Society, County Historian, and social studies teachers who worked together to make this happen are to be commended. Keynote speaker Linda Zimmerman touched on some themes which resonate everywhere. How about examples of knocking something historic down and then naming the new structure after the demolished old structure even though there is no connection other than being on the same spot. She stressed the need to make history personal through storytelling, a familiar and essential theme that can’t be repeated too often. This conference April 9 provided an excellent follow-up to the program at the New York State Archives on April 6. At that program, Julie Daniels spoke about the Student Research Awards. Guidelines and entry forms for the contest may be found at www.archives.nysed.gov and click on Education. The deadline is July 1, 2013. While this statewide contest offers three rewards, a local version of it can be done just as Rockland County did. By engaging the students in their own community, they become part of it in a way they weren’t when they just drove by a rock monument without knowing what it was or without realizing how the history of shopping from the local general store to the gargantuan malls of today helps define their lives. If there were other such high school local history conferences in the state, please share your experience. And don’t forget or ignore the importance of the adult county history conference as well. First thing for many years, I have had to deal with my alarm clock, making early morning coffee, and picking out a matching shirt and tie. Now you bring one more thing into the “necessaries” of the day : New York History. But of these fixes, the latter is most powerful and most invigorating. I thank you and your collegial writers for this addition Gem-of the Day. Who sez New York doesn’t have geniuses? Teacher Kevin Metcalf (referenced in the first paragraph) and his colleagues Doreen Chizmadia, Steven Lefkow, Ed Maltbie, and Greg Brown developed a four-part social studies unit for middle and high school students, Bridging the River: Connecting Rockland County to the World. Interested readers may see an overview here, http://www.teachingthehudsonvalley.org/component/option,com_units/Itemid,12/unit_id,124/, and download any of all the lessons and supporting materials by registering on the site.